Techsas, Incorporated is a privately owned company located in Bacliff, Texas. 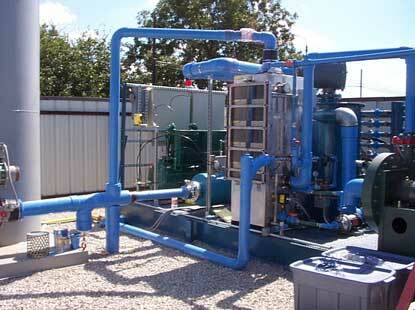 Established in 1984, Techsas, Inc. is the proven provider of environmental equipment and supplies. Whether you need a groundwater sampling pump for a quarterly sampling event, an integrated turnkey remediation system or environmental rental equipment, Techsas, Inc. is your one stop source for cost effective solutions and technologies delivered in a timely manner. Techsas, Inc is a representative of five major equipment manufacturers and equipment suppliers including QED Environmental Systems, Maple Leaf Environmental Equipment, Catalytic Combustion Corporation, Etec LLC and Filter Innovations, Inc. Techsas, Inc. has worked with these manufacturers for many years to maintain close, long term, effective relationships. As a result, Techsas, Inc. is able to provide our customers with the certainty they need when recommending, ordering or installing our environmental equipment and remediation systems. They know that Techsas, Inc. will be there to support them before, during and after "the sale". Ed Butler bought Techsas in April 2003. He has more than twenty years experience in the environmental industry with a thorough knowledge of remediation technologies. He knows what it takes to plan, prepare, execute and troubleshoot equipment and projects in the field.